It’s our pleasure to introduce Ray Robertson as the new owner of Automated Workflows. 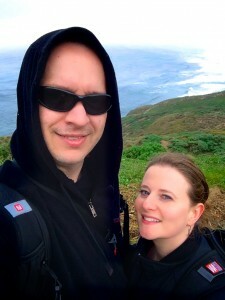 Ben has accepted a position with Apple Inc., and we are relocating to sunny Cupertino, CA this August. You may know Ray from Scripting Matters and Scripting Events, LLC, where he has provided professional AppleScript consulting services and the wildly popular AppleScript Pro in-depth training sessions. 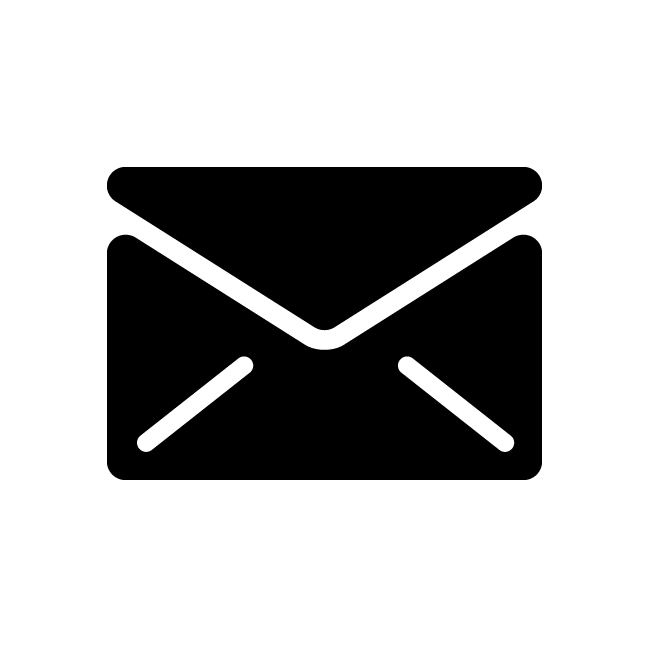 Ray is an extremely talented Mac developer and industry expert, and we have complete confidence in his ability to continue providing top-notch productivity services and workflow solutions long into the future. He’s an outstanding guy, and we can’t think of anyone we’d trust more with our business. Thank you to all those in the Mac community who have supported us these past 11 years, purchased our products, hired us as consultants, read our articles and books, attended our presentations, and so on. We appreciate your confidence and support. Stay productive and best of luck with your workflows! Now, please lend us a hand in welcoming Ray! It was January 6th, 2004. Jen and I had just finished watching an enthusiastic Steve Jobs give the keynote address at Macworld Conference & Expo in San Francisco. We meandered about for a few minutes, trying to decide what to do next. Should we get lunch? Fight the crowds next door at the expo? Wander around the city? After a short debate, we decided to take on the expo, and then get lunch. Due to our dilly-dallying, the doors were already opened when we arrived, and the crowd had been ushered into the expo. Great! No need for us to wait in line. We entered near the Apple booth, which, as usual, was jam packed with attendees, eager to try out the latest and greatest from their favorite tech company. As we neared the booth, we noticed a small group of people entering behind us. As we turned, we were amazed to see Steve Jobs and John Mayer (who had joined Steve onstage to introduce GarageBand at the Keynote), along with a small group of reporters and Apple employees. Without much fanfare, they made their way to the Apple booth. We, of course, followed closely. After all, that's the direction we were heading anyway. Steve, who rather comically wore an exhibitor badge, pointed out this and that to John Mayer, who nodded with interest. I snapped some photos. After a few moments, a woman walked up to Steve, glanced at his badge and said… "So, I'm having a problem with iPhoto. I can't get it to do this or that, and blah, blah, blah." Steve stopped in his tracks and listened to her question. Then, without hesitation, he gracefully snagged the arm of a nearby Apple booth worker and said "So and so will be glad to help you with that." I don't know if anyone else heard this brief exchange, but it's one I will never forget it. The woman was completely oblivious to the fact that he was one of the world's greatest technology visionaries. Yet, he wasn't too important to stop and listen to her. To that woman, he wasn't Steve Jobs. He was a guy from Apple. That he was, and I couldn't help smiling. 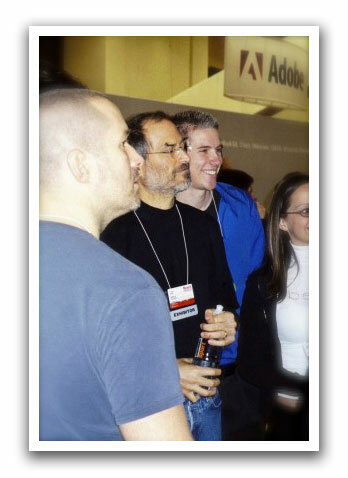 Steve Jobs smiles slightly, as he looks over the Apple exhibitor booth at Macworld 2004. (Jony Ive, Senior Vice President of Industrial Design at Apple, is to Steve's right). “I want to put a ding in the universe.” You did, Steve. Rest in peace. Through the years, your success and vision has inspired me to be a better business owner, a better developer, and a better person. I feel fortunate to have been able to attend a number of your keynotes. Thank you. Automator makes it easy to create drag-and-drop workflow applications to process batches of files all at once. Simply save any Automator workflow as an application, and it will automatically become a drag-and- drop application. This method of processing may work fine for workflows that process only a handful of files. But what if you need to process hundreds or thousands of files? It may not be practical to process an entire set of files as a single batch. Instead, it may make more sense to process the files through the workflow individually, one after another. The Automator Multi-Item Processing Utility, available for free from Automated Workflows, LLC, makes this type of processing possible.